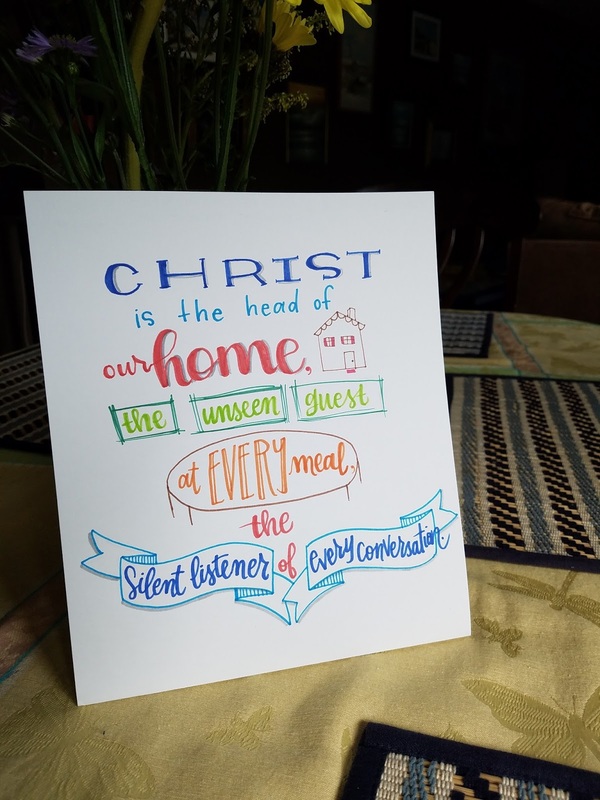 "Christ is the head of our home, the unseen guest at every meal, the silent listener of every conversation." Don't you think that if we kept these things at the forefront of our minds we would treat people differently? Do you think that if you were more aware of the presence of Christ in your home you would serve others more than yourself? Do you feel that if you remembered that Christ hears ALL your conversations that you would speak words in a different way? I am very passionate about keeping Christ and His promises in the forefront of my mind. I fail miserably on a consistent basis...but GRACE abounds and I am a forgiven child of God. I know that I am loved. I know that I am forgiven. I know that He will always love me. But I don't always live like that is true. I don't live my life in a way that shows that Christ is the head of my home and the unseen guest at my meals. I don't always speak to my children thinking that Christ is listening. I try. I fail. I am forgiven and I try again. I am grateful that He is in my home and that He is listening to my conversations. 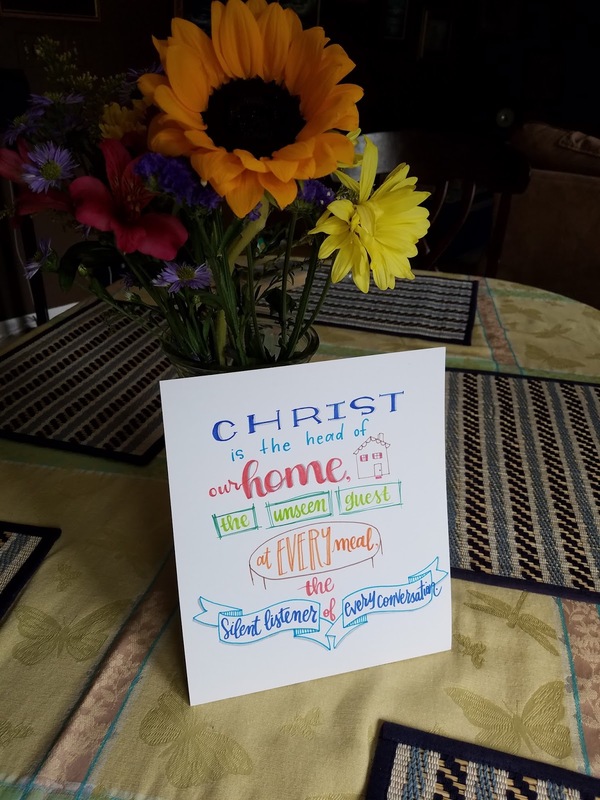 Having these phrases in my home helps remind me of the truths of Christ. I am reminded of His love and grace and that He loves me and my family enough to be a constant part of our home and family life. He does the same for you. He loves you. He is in your home and listening to your conversations. Let us pepper our conversations with love and grace. Let us invite Christ into every part of our lives, dinner, bedtime routines, hanging out, He is part of it all. May you remember how much you are loved and that Christ is always present in your home and your life. Speaking words of grace and forgiveness to the people in our homes and out of our homes. Speaking Christ's love and salvation to those we encounter is how we can share His gifts with those around us. You are loved. You are a chosen child of God. Live in His grace! !